We want to wish everyone in the 1/83rd family a very happy Holiday Season and a Happy and Healthy New Year. 1. VA National Cemeteries Now Offering Pre-Need Eligibility Determinations - Click here for details. I received a reminder from Rich Magin (66-67) on this notice. On a similar note, many, if not all, of the 50 states have Veteran Cemeteries where you, your spouse and eligible children can be buried. In New Jersey, we did the pre-certification process several years ago and were approved rather quickly. This may be something that you want to look into in your home community. 2. Other VA Health Notices - A while back I signed up to receive notices from the VA on topics like the one above. I have found many of them to be interesting and pertinent. You may find it worthwhile to also sign up to receive these notices. Go to this page to sign up for the emails. When you get there you can select which topics that you would like to receive email updates for. 3. New Regulation Decreases Cost of Outpatient Medication Co-pay for Most Veterans - Click here for details. 4. Registry of the American Soldier - Neal Schwartz (68-69) sent this link. 5. Vietnam Veterans Memorial 2017 Reading of the Names - As part of the 35th Anniversary Commemoration of the Vietnam Veterans Memorial all of the more than 58,000 names will be read from Tuesday, November 7, 2017 through Friday, November 10, 2017. A few of us volunteered in 2012 to read the names when it was the 30th Commemoration and it is a wonderful experience to be part of. If anyone will be in DC at that time and is interested in volunteering, more info can be found at this link. 6. 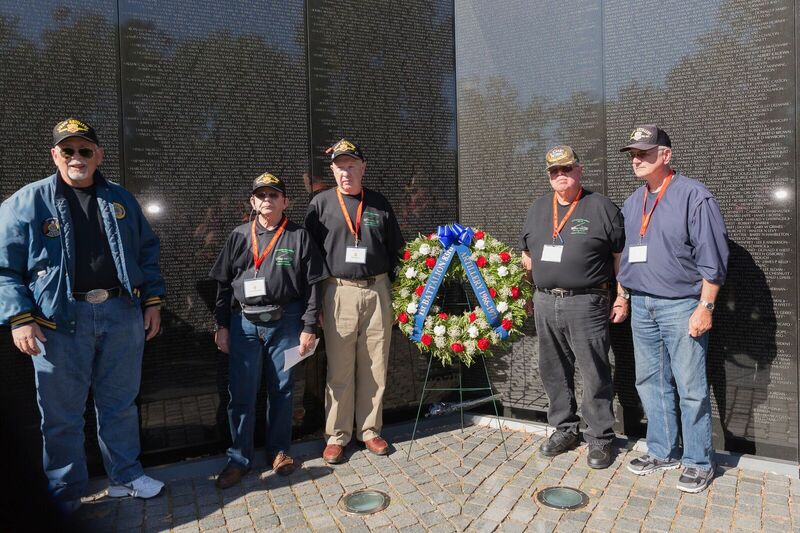 VVMF Accepting Applications for 2017 In Memory Program that honors Vietnam veterans who sacrificed after the war ended. Click here for details. 7. Support - Please let me know if anyone of you or your family have health situations so we can let everyone know of the need for our support. 8. News - If you have any good news you would like shared with the group, let me know. 9. Please remember that all contact info that we have for our group can be found on the Full Roster. This is the best spot to start if you need to contact one of the group. 10. Reunion News - Mike Reetz (66-67) has agreed to plan and organize our next Reunion. When and where to be determined. Mike's contact info can be found on the Full Roster if you have any questions. 1. Picture History of Ho Chi Minh Trail today - Dennis Blalock (67-68) sent this. 2. World War II Holiday Flashback - A good holiday view. ZIP codes, or Zone Improvement Plan codes, were introduced to the U.S. mail system in 1943 and were expanded to the ZIP+4 system in 1983.